Loopin Louie (also known as Bobbin Bumblebee and Barn Buzzin’ Goofy – same games, different themes) is a dexterity board game with lots of action. English editions call him Looping Louie, for short. A battery-powered tower rotates a boom with a small plastic airplane. When the plane spins around to you home area, you try to flip it out of the way using a level at your home base to protect your chicken chips from being stolen by Louie. Check price of Looping Louie on Amazon. 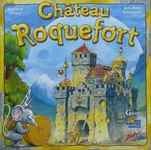 Château Roquefort is a fun board game that invites players to explore a castle with their mouse tokens. (It’s also difficult to find.) The mice are looking for cheese scattered about the corridors. Players spend action points to move their mice and pieces of the board to reveal or hide the pieces of cheese and trap doors in the the floor. Children will need to think about the effects of their moves before making them. They will also need to plan how to spend their action points wisely so they don’t run out before they accomplish all they wanted to do on a given turn. Many will enjoy the trap door effect when mice fall through the floor. Some may even like this site gag so much that they drop their own mice through a trap just for the giggles. 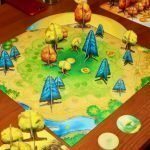 Animal Upon Animal is another dexterity board game that involves stacking wooden animals of various shapes and sizes (and colors). Think “Jenga” for kids. A steady hand is needed to stack these animals one upon another in a somewhat pyramid-shaped structure. If the animals tumble to the table on your turn, you must take back two of them to your own pile. A special die is rolled to determine the placement of pieces and who gets to place them. Rules can be adjusted to suit the ages and abilities of the players. For example, instead of keeping only two animals after a crash, you could rule that the tumble-causer must keep up to five. Check the price of Animal Upon Animal at Amazon. 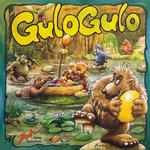 Gulo Gulo is yet another fun board game that requires dexterity. This one may actually favor the young one who have smaller fingers. As you advance your Gulo character along the randomly-setup track, you must pick an egg (of the required color) out of the bowl. If removing the egg causes the alarm stick to fall out of the bowl (or if unwanted eggs drop out), your Gulo must go backwards. Your goal is to reach the end of the track to rescue a baby Gulo found there. Bright colors, cute Gulos, saving the baby, and a very real chance at beating adults make this a fun board game for kids. Check the price of Gulo Gulo on Amazon. 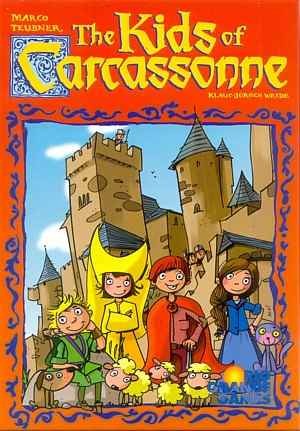 Kids Of Carcassonne is similar to the original Carcassonne in that the main mechanics include placing random tiles and setting meeples on top of them. Unlike the original, however, the sides of the tiles always match in this fun board game for kids. The goal is to place all of your pawns, knowns as meeples, on the appropriate tiles before any of the other players. 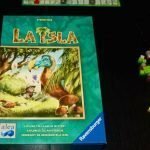 This makes for a shorter and simpler game than the original Carcassonne, which children may find to long and complicated or dull. 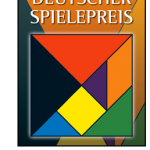 There is still some strategy required in this board game, though that too is more basic than what is found in any of the Carcassonne versions intended more for adults. Check the price of Kids Of Carcassonne on Amazon. These are just a few of the better-known and more-popular fun board games for kids that are available. 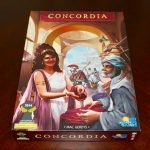 If you are interested in additional titles, look for more information here at Fun Board Games or send me a message with your questions and comments. 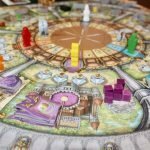 There are many that I must admit I have not yet played, but I’ll give you my opinion on their value based on similar experiences with other fun board games I have played. I hope to play some of these with my grandchildren someday!